What a great way to celebrate with a plate remembering baby's birthdate. 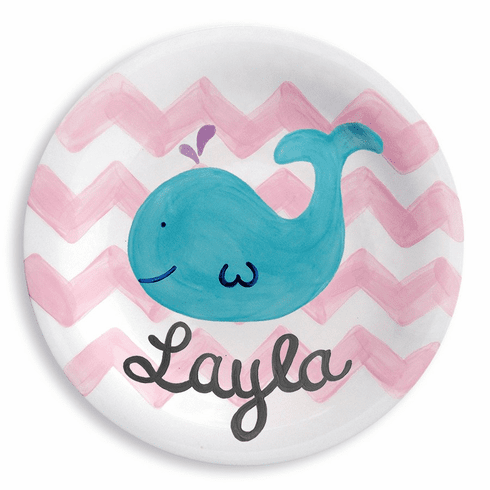 This plate features a cute whale and is personalized with baby's. This plate would even make a great wall decoration. Each and every plate is hand-painted and signed by artist Kathleen Virtue. Her trademark is the wonderful detail on each plate. Kathleen says, "Every plate has a story, just like all of us!". Plate comes in two sizes 8.5" and 10.5". Custom made.